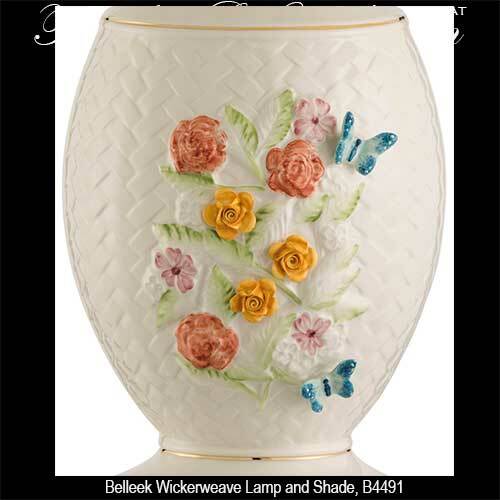 Wickerweave lamp from Belleek China features a painted flower design with butterflies along with an embossed weave motif. The Belleek wickerweave lamp was introduced in 2017. 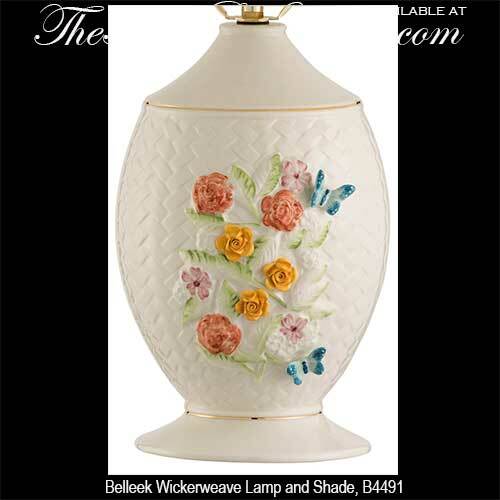 The wickerweave lamp from Belleek China features a hand painted design that includes flowers that are both embossed and those with hand applied petals. 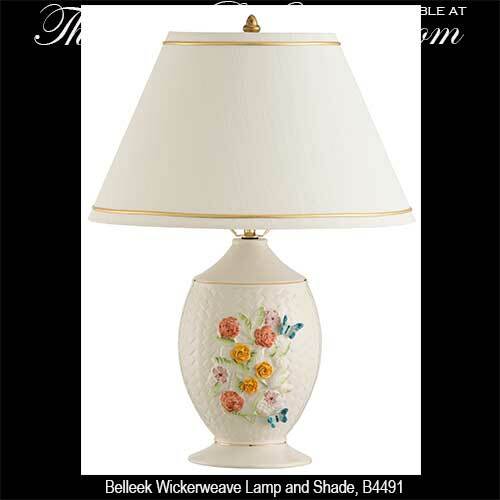 The Belleek lamp is additionally enhanced with an embossed weave decoration along with hand applied butterflies and it measures 15" wide x 20 1/2" tall with the included shade and brass hardware. The fine china lamp is hand crafted in Belleek, Ireland and it is gift boxed.